TALLAHASSEE, Fla. – Big days for a pair of fan-favorite Florida State running backs highlighted Week 2 for the Noles in the NFL. Chris Thompson continued his hot start to the season to the season by averaging 25.7 yards per carry and scoring a pair of touchdowns – including a 61-yarder – to help Washington win on the road. 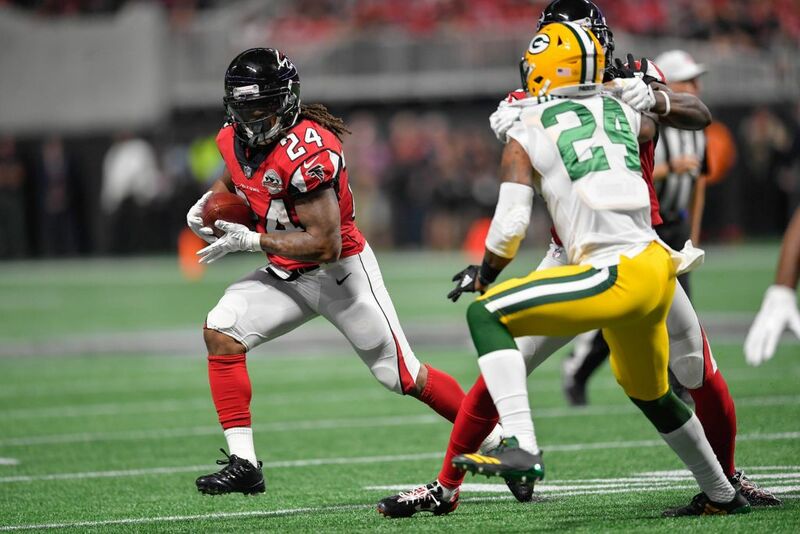 Atlanta’s Devonta Freeman also found the end zone twice to lift Atlanta to a big, early-season win over Green Bay. Panthers: WR Kelvin Benjamin started and led the team in catches (six) and receiving yards (77). K Graham Gano was 3 for 3 on field-goal attempts (34, 28, 20 yards). Bills: TE Nick O’Leary did not record any statistics. Jaguars: LB Telvin Smith started, had a team-high eight tackles (one for loss) and caught one interception. CB Jalen Ramsey started and made two tackles. WR Rashad Greene (Achilles) is on injured reserve. Eagles: DT Timmy Jernigan started, made four tackles (one for loss), recorded half a sack and had one QB hurry. LB Nigel Bradham started and made four tackles. CB Patrick Robinson had two tackles. CB Ronald Darby (ankle) was inactive. Saints: CB P.J. Williams started, defended one pass and had a team-high 10 tackles. 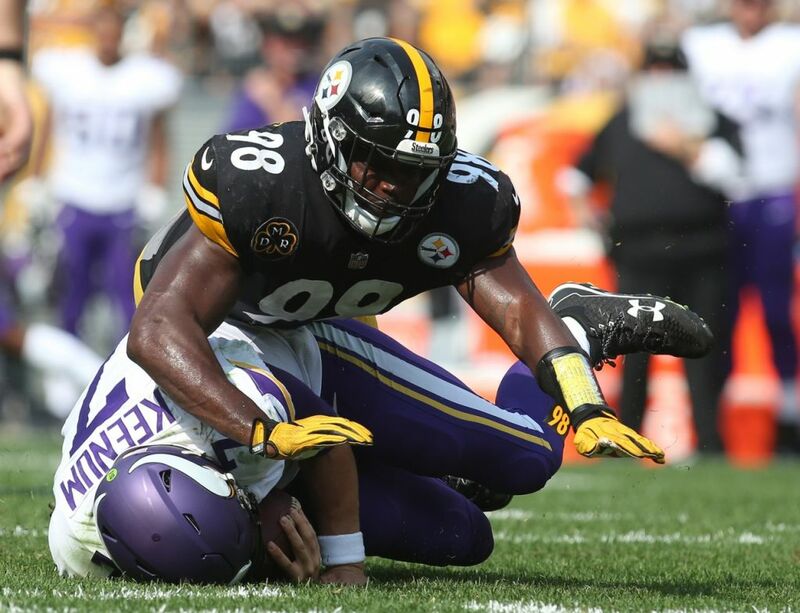 Steelers: LB Vince Williams started and had four tackles (one for loss) a sack and a QB hurry. Vikings: RB Dalvin Cook started and carried 12 times for 64 yards. He also caught two passes but did not gain any yardage. CB Xavier Rhodes started, made five tackles and defended one pass. Lined up primarily against Pittsburgh’s Antonio Brown, Rhodes helped limit the Steelers’ star to just 62 yards on five catches. Buccaneers: QB Jameis Winston completed 18 of 30 passes for 204 yards and a touchdown. LS Garrison Sanborn handled long-snapping duties. CB Javien Elliott was inactive. WR Bobo Wilson was inactive. Bears: NT Eddie Goldman started and made three tackles (one for loss), one sack and one QB hurry. LB Christian Jones had six tackles. Raiders: DE Mario Edwards Jr. started, made three tackles (two for loss) and had 1.5 sacks and two QB hurries. C Rodney Hudson started. QB EJ Manuel did not play. K Sebastian Janikowski (back) is on injured reserve. Jets: S Terrence did not record any statistics. Broncos: RT Menelik Watson started. DE DeMarcus Walker did not record any statistics. Redskins: RB Chris Thompson carried three times for 77 yards and two touchdowns and caught three passes for 29 yards. K Dustin Hopkins was 2 for 3 on field goals (makes from 44, 22 yards; miss from 51 yards) and 3 for 3 on extra points. Rams: S Lamarcus Joyner started and made nine tackles. 49ers: DT Cornellius Carradine made three tackles (one for loss), one sack and two QB hurries. LB Dekoda Watson made two tackles on special teams. Falcons: RB Devonta Freeman started, carried 19 times for 84 yards, scored two rushing touchdowns and caught two passes for 16 yards. Giants: OL Bobby Hart is the team’s regular starter at right tackle. WR Travis Rudolph is on the practice squad.